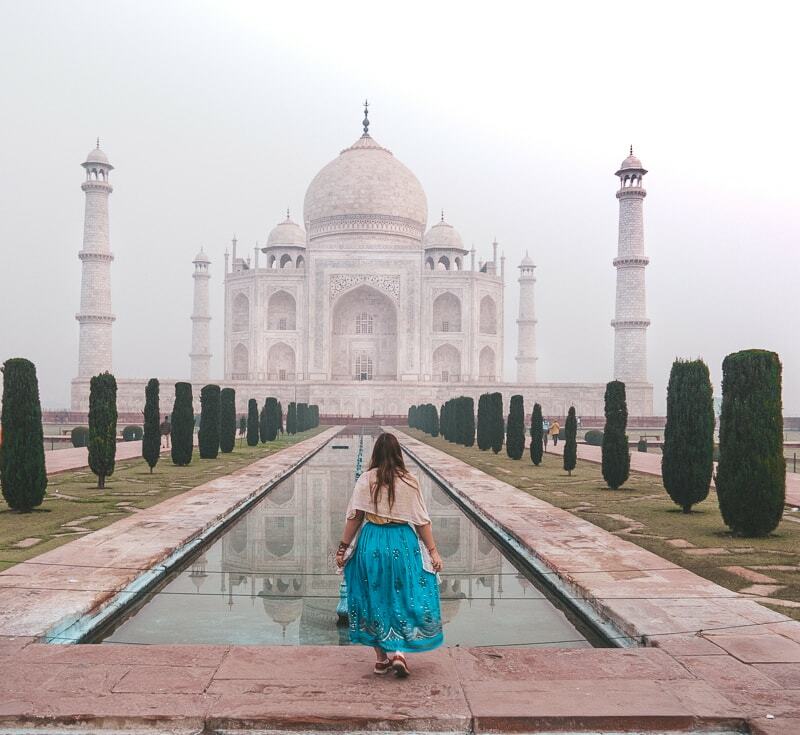 The Taj Mahal is a beautiful new wonder of the world, so check out my guide on my experiences and everything to know about visiting the Taj Mahal in India. In October 2018, I finally got the chance to visit the beautiful Taj Mahal in India. Ever since I can remember, the Taj Mahal has always been somewhere I’ve wanted to see. 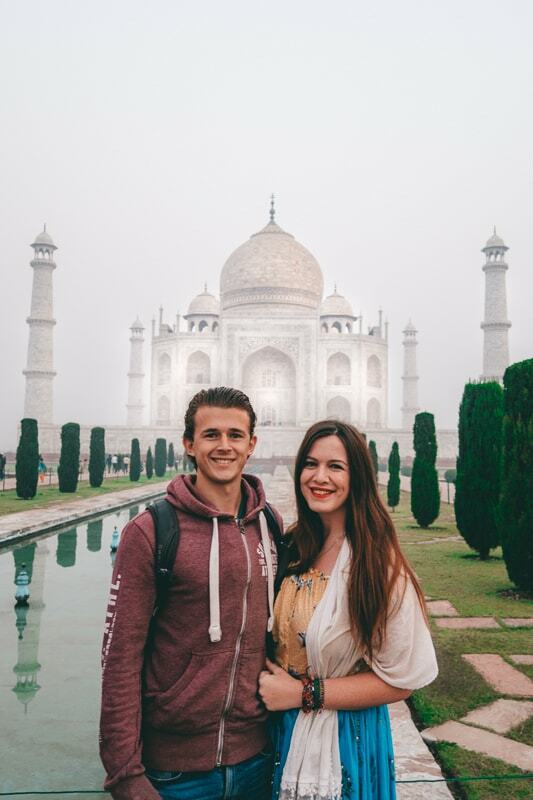 It’s been on my bucket list for a long time, so I was thrilled when Bradley and I decided to visit India, because I knew I would finally get to see it. You know when you seen something in the pictures, and on the tv so much that you think it will be a disappointment when you see it in person? Well, the Taj Mahal is not like that. It is even more breathtaking and beautiful in person and I believe everyone should make it a priority stop on their India travel itinerary. The Taj Mahal is located in Agra, India. It’s part of the so-called cultural triangle which includes Agra, Jaipur and Delhi. It’s only a few hours from Delhi so lots of people take day trips from there, rather than staying the night in Agra. 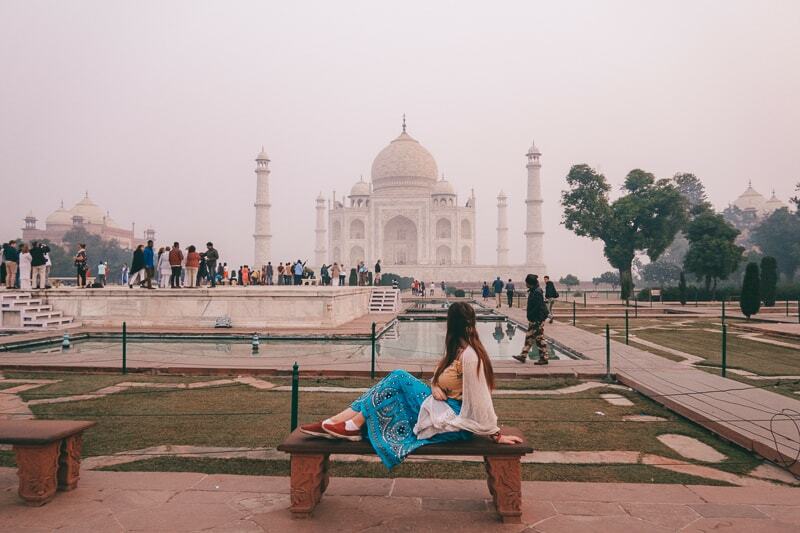 Agra is a “tourist” trap, but to be honest, that doesn't make it expensive to western standards, and I think you should stay a night in Agra, because there are so many fantastic hotels in Agra near the Taj Mahal, such as the one we stayed in. This hotel was an absolute steal. 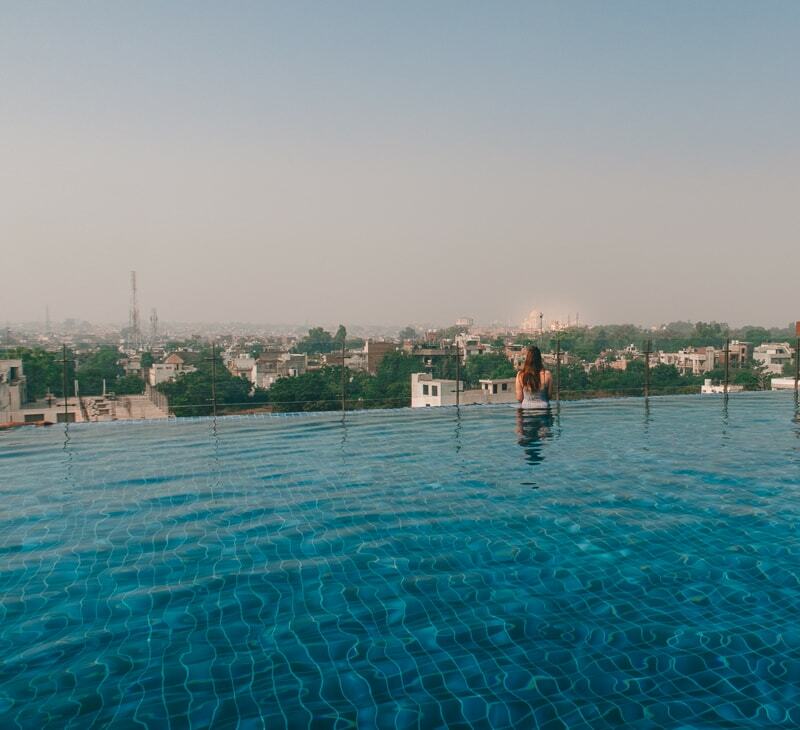 It cost £120 for 2 nights in this 5 star hotel with buffet breakfast and the views from the rooftop infinity pool were brilliant, and you could see the Taj Mahal. It’s also around 10 minutes walking to the Taj East Gate entrance from the hotel, which is perfect if you want to get a picture of you and the Taj without a hoard of tourists behind you. 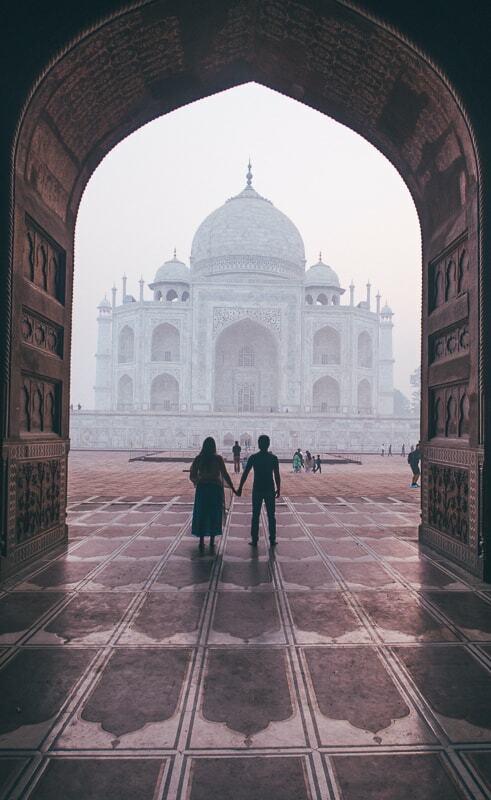 We booked our incredible deal on booking.com, so if you want a fantastic place to stay for one or two nights, to make your Taj Mahal experience even more special, then book here. Trust me, you won’t regret it. How much is the entrance to the Taj Mahal? The Taj Mahal ticket price is different for locals and foreigners. You can buy tickets at the East Gate Entrance and the West Gate Entrance up to one hour before sunrise and 45 minutes before sunset. I HIGHLY recommend you buy your tickets online. Why? Well, it’s far easier and you get a discount, and you don’t have to queue at the ticket office, then queue at the entrance….makes perfect sense. Just get your hotel to print them off and they simply scan the barcode. When is the best time to visit the Taj Mahal? 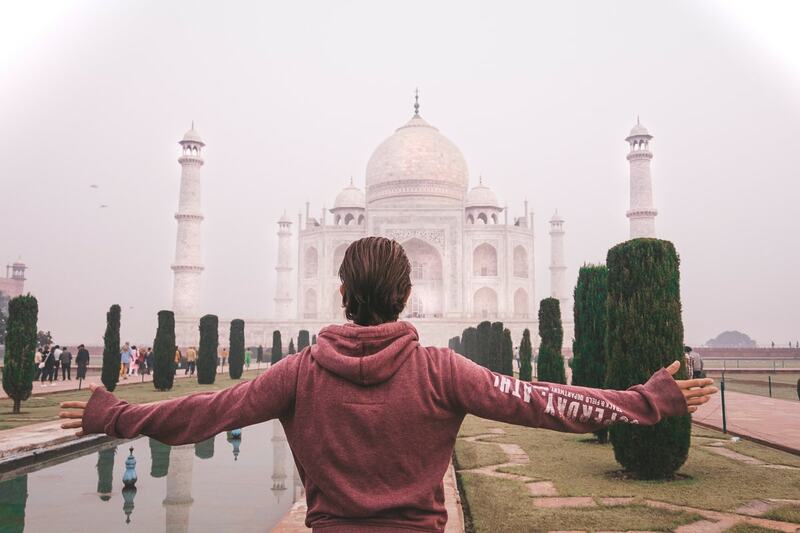 If you want that iconic picture of you and the Taj without lots of people around you, then you will want to be amongst the first one in there. So that’s before sunrise. You need to get there at least 1 hour before sunrise (the queue will probably already be formed). But, once those doors open, head to that iconic bench that's located directly in front of the Taj (you will know what I mean when you see it) and get your photo. In the space of about 10-15 minutes the whole place will become heaving and you’re shot won’t be possbile unless you spend a lot of time photoshopping people out. Also, the peak season for visiting the Taj is October to March. 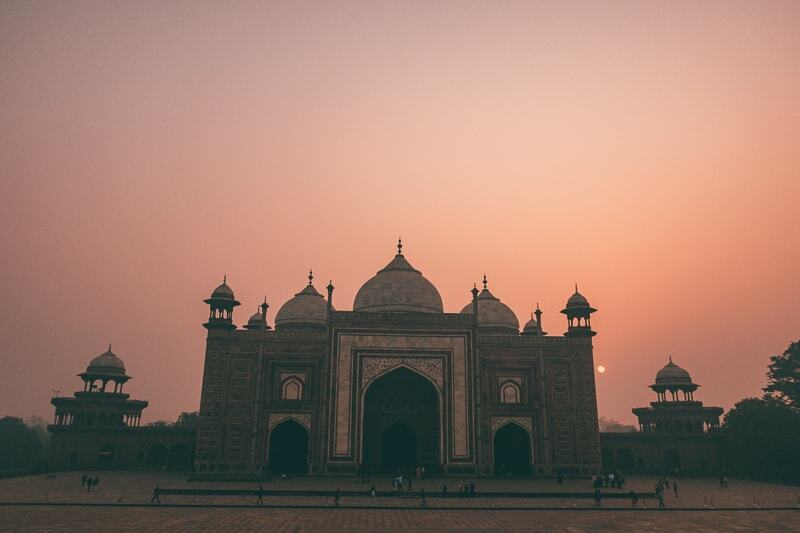 When is the best day to visit the Taj Mahal? The Taj Mahal is closed on Fridays- so don’t go then. I would avoid a Saturday too, if you can. We went on a Saturday and it was beyond busy in the morning. We got there around 2 hours before the opening time and the place had hundreds of people already there before the doors were open. This meant trying to get that perfect shot was a lot more difficult. But, our tuk tuk driver said Monday’s are the quietest day, and I do know people who’ve been to the Taj on sunrise and it’s empty for like an hour, so perfect. This still happens during the week, just not on a Saturday, for obvious reasons. But, we had no other choice, it was Saturday or nothing, but I think I did a pretty good job on the ole picture front...no? How long does it take to visit the Taj Mahal? Brad and I got in, walked around the beautiful gardens and visited the inside of the Taj, and the other buildings beside it, in around one hour. We were back in time for our breakfast buffet at the hotel. If you take a guide (which I REALLY recommend you do) then it might take longer. It’s worth hearing about all the interesting facts and stories about the Taj. I slightly regret not getting a guide, but I did read up on the story and history before and after, so it’s fine. You can organise a tour beforehand with a guide, or get one when you go in. After you’ve see the Taj Mahal, you’re probably wondering what else is there to do in Agra? Well, that’s why most people only do a day trip, but you could definitely make more things to do in Agra. Below I’ve included some other interesting things to do in Agra. Sunset cruise of the Taj Mahal: You can go on the river in the evening on a boat and watch the sunset descend on the Taj Mahal. It’s quite an experience. Visit Agra Fort. 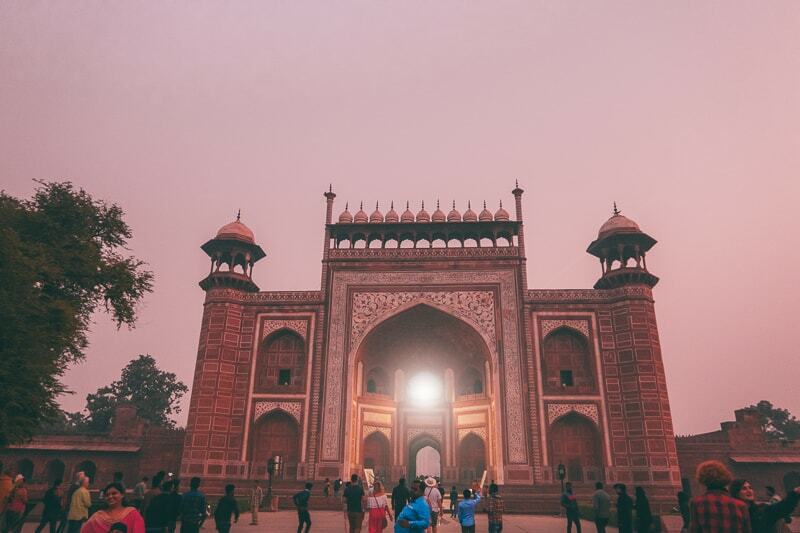 It’s the sister monument of the Taj Mahal and it was the main residence of the emperors of the Mughal Dynasty until 1638, when the capital was shifted from Agra to Delhi. So there you have it, my guide to visiting the Taj Mahal! I hope you’ve found this guide useful and I hope you find the Taj Mahal as beautiful as I thought it was! Need A Great Tour Of The Taj Mahal?